Facebook Strategic Preferred Marketing Developers Kenshoo, SHIFT and Nanigans announced at South By Southwest that they will integrate their technology with the Oracle Social Cloud. The news comes as part of Oracle’s new API-based paid social media solution. We are proud to work with Oracle for the launch of its new paid media solution. We believe paid media is the most important element in any marketing strategy, as it enables marketers to reach customers with a tailored and targeted message. This integration will provide Oracle customers the ability to execute large-scale advertising campaigns across social platforms efficiently and effectively. 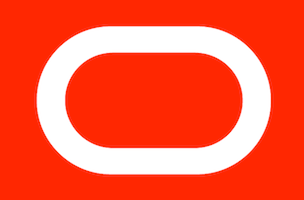 We look forward to working with current and future Oracle customers to help maximize their brand marketing ROI. Savvy marketers understand the complementary nature of engaging content and paid social media, as well as the need to employ a diverse set of tactics to achieve their specific goals. Kenshoo’s advanced tracking and attribution capabilities, bidding algorithms, and workflow automation, can provide advertisers with the ability to quickly and easily create, manage and optimize their social media marketing campaigns while intelligently leveraging content they create to boost results. Collaborating with a well-respected brand like Oracle offers us a unique opportunity to share these tools with best-of-breed clientele and help marketers achieve their business goals through holistic social optimization. Working with Oracle Social Cloud is another clear illustration of our growth and focus to provide in-house performance marketers and agencies with the most advanced SaaS platform across the social and mobile landscape. Oracle is perfectly aligned with Nanigans at the enterprise level and we look forward to further solidifying our position within the market through this partnership. Image courtesy of Oracle’s Facebook page.